Denise Richards' favorite bag for Spring 2012 is the roomy and versatile Patricia Nash "Rodano" Satchel. This former model and current actress is also a busy working mom. 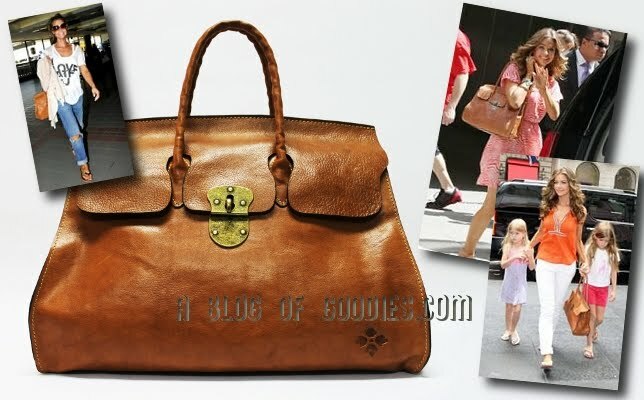 Richards has been spotted toting this bag in tan leather while travelling, on-the-go during the week, and out and about with two of her daughters on the weekend. 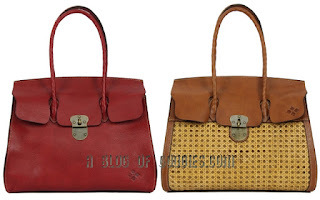 The Rodano Satchel retails for approximately $268 and is currently available in Tan and my favorite color Red. 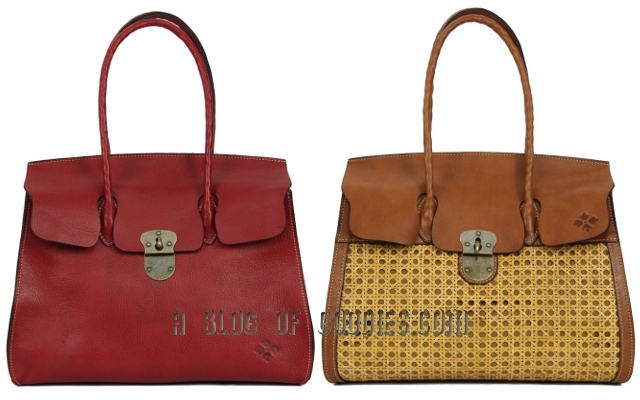 The double handles have a 14" drop, making it suitable to carry in-hand, as a satchel, or a shoulder bag. Measuring 13-3/4"W x 13"L x 3"D, this satchel is roomy, but not cumbersome. Right in time for Spring, this Patricia Nash handbag will soon be available in Wicker. You can find this bag at high end retailers, such as Macys.com and Dillards.com. Which color is your favorite?